Being home to England’s best-known football club and commonly called the second capital of the UK, Manchester is a truly vibrant city attracting more and more prospective inhabitants and travelers. The city is considered more or less on-par with London, but more friendly than the capital city. Book cheap flight tickets to Manchester now and find out for yourself how this formerly industrial city reinvented itself! Manchester was founded in the 13th century, but it was only in the Industrial Revolution that the city finally started to develop and grow important. Due to a strong cloth trade, it grew into one of the 10 biggest urban centers on earth. The city grew in importance in the Victorian Age, which is why it has a wide array of excellent neo-Gothic and neo-Classical architecture. In modern times, it has been home to one of the most influential music scenes. Bands like the Oasis come from Manchester and have a strong influence on the entire UK music scene. 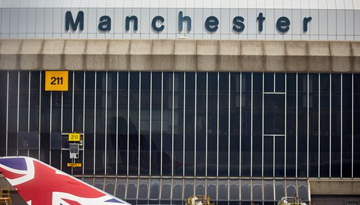 Take cheap flights to Manchester now if you want to have a strong feel of the UK music. In Castlefield district, you will find the Roman fort of former settlement Mamucium, which had existed on the same site like later Manchester. It’s also worth taking a stroll around the rest of the district, as it has been changed into a nice and relaxing oasis in the midst of the city. To get a glimpse of beautiful English architecture, check out Manchester Cathedral. Also, Manchester Town Hall should absolutely be on your bucket list. Having been built during the Industrial Revolution, it is a magnificent piece of neo-Gothic architecture! For some older architecture, you should visit Chetham’s Library. This building was built in the 15th century and known for having been the place where both Marx and Engels were common guests. Of course, you could also round off your trip with a football match of Manchester United! You should definitely check out the play schedule and book discounted flights to Manchester way in advance! Getting around in Manchester is easy. In the city center, you can get everywhere on foot. However, there also exists an extensive bus and tram network, which brings you literally everywhere. Of course, taxi services are offered as well. So, compare flight tickets to Manchester and book the one within your budget. This is because an exciting new journey awaits you! As Manchester has a mild climate and no truly cold or hot season, you can travel there all year round! 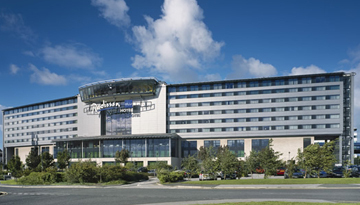 Just stay 2 or 3 nights & save up to 20% at Manchester Radisson Blu Manchester Airport - Available all days. 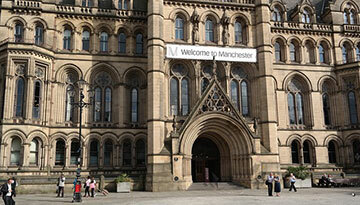 Fly from London - Manchester & Stay for 4 nights with 4 star accommodation. Room Only.